Sometimes there are songs that come along from outta nowhere and do their best Randy Orton impression to leave me perplexed and writhing around on the floor. 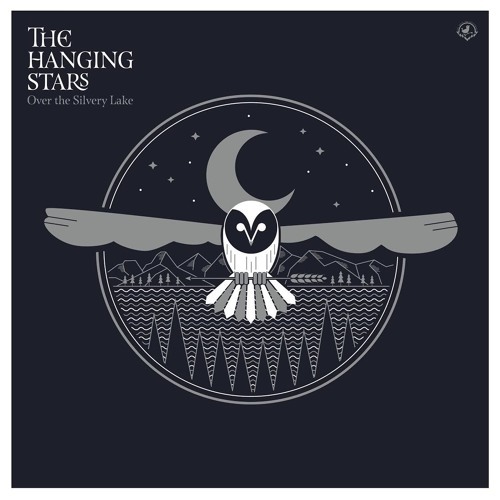 The Hanging Stars is a psych-rock band from London and it’s their song Running Waters Wide that has left me rehashing possibly overused and outdated internet memes in my reviews. These guys will be releasing their debut album Over The Silvery Lake in March and after checking out this track I am very much excited to have all kinds of wrestling moves pulled on me. Running Waters Wide is a track that boasts a huge arsenal of instruments from the guitar to the bass to the drums to the synth to the piano to the flute-like thing that it actually leaves me speechless. Complete with harmonies, melodies and nearly six minutes of time, this track explores all kinds of psychedelica throughout which is backed up with some hugely talented band members that incorporate some poppy elements into it to allow some accessibility to bleed into it’s sound. It is rife with percussion, uplifting piano and acoustic chords and a main piano melody that really combines it altogether to form one of the best instrumentations I’ve heard this year. Running Waters Wide is a superb song and goodness me has it left me excited for Over The Silvery Lake. Everything about the track is performed excellently and it just sounds incredible, and once you reach the part which allows the instrumentation to let loose does it become unreal. Look out for The Hanging Stars this year, they are definitely going to deliver something big. Stream the track below, and for more reviews, interviews, and free downloads check out Exploding Head Syndrome on Facebook and Twitter.